175 customers have given this product a 5-star rating. Of these, 163 customers have written no texts or given their feedback in another language. If you're experiencing audio drop outs in LIve, inspite of using a decently new laptop with Windows10 installed, this may solve your problems. 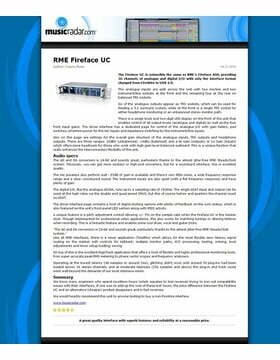 I used to own a Steinberg UR22 which did me good services for many years on a Win8 system. Then i recently replaced that 5 yr.old latop with a new laptop, Intel i7 8th generation and 16 MB RAM running withWin10 - which i assumed would speed everything up and be even more stable than my old system. 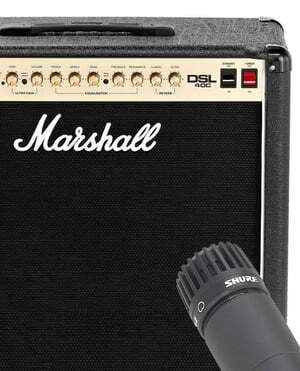 But, lo and behold, i started experiencing audio drop outs with my UR22! At first i assumed it's just a one-off glitch. BUt it was systematic, even on low CPU usage (<10%) i kept experiencing drop outs. So i got frustrated enough to want to do something about it,. I spent a full day reading through many many forums where other users reported similar problems, watched a dozen Youtube videos on how to tweak my system, tried different USB ports, installed LAtencyMon and DPC Latency Checker, changed power settings, tweaked my system in just about every way i could imagine, de-activated NVIDIA, Bluetooth, WLAN drivers etc. but still the problems persisted. 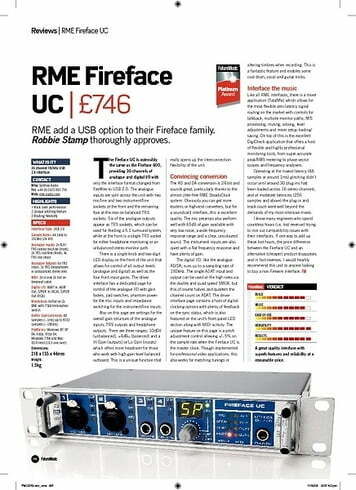 I had read somewhere that this RME Fireface soundcard had great latency performance. 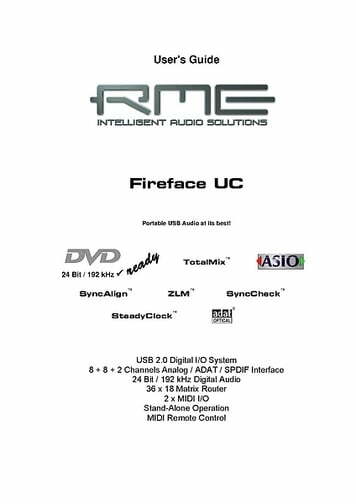 Didn't think that alone would solve my problems with audio drop outs because the USB data transfer seemed to be interrupted on the UR22 even at higher buffer size settings like 512 samples. 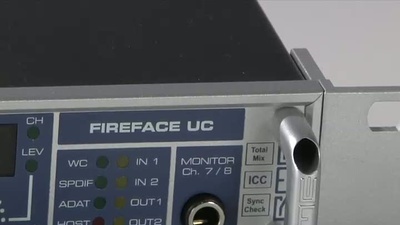 I've used this interface for 1 week now and have NOT HAD A SINGLE audio drop out. Coincidentally, the system is so stable now, i don't have to deactivate half of Win10 settings in device manager which was just a complete drag to have to do every time before opening Live, according to friendly advice from otehr users. If you're frustrated with audio drop outs in your DAW, give this a try. I cannot guarantee anything, but it certainly did the magic for me. Just wanted to let you know...! 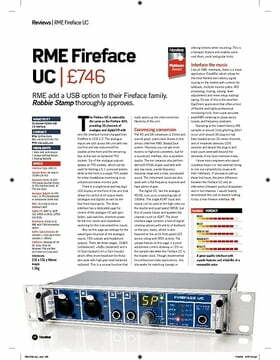 PS The software "RME TotalMix" that comes with the Interface is not too complicated to learn (I'm a novice and fairly apprehensive when things get too technical, but i was still able to wrap my head around how this works in 30 minutes); there a couple of instructional videos on the web - watch those. PPS Thomann service friendly and great, as always! 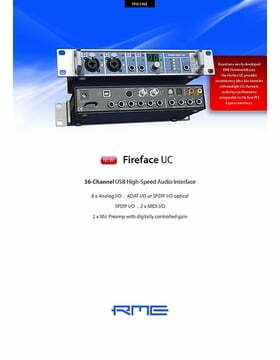 I'm using this audio interface mostly for recording acoustic music, usually in pair with my Neumann KM 184. I must say that the sound quality is incredible, no self-noise or coloration, it's pure and clear. The stereo picture is wide and realistic, even when listening on headphones you feel like you sitting in front of a performer, the level of detail is amazing. 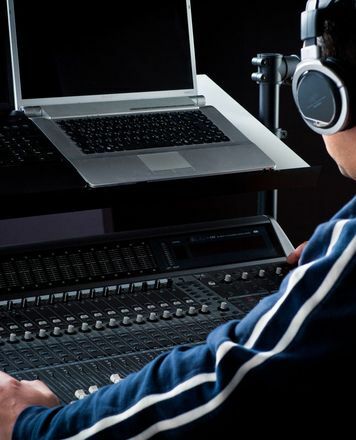 This also uncovers any recording problems and poor mic placement which you won't hear in consumer audio gear. 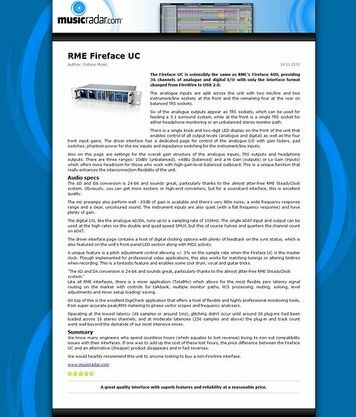 I've been using Fireface UC for a few months and never experienced any dropouts or any driver problems (running it on Windows 10), it's very stable. Delay-free monitoring is a very useful feature when you're recording. 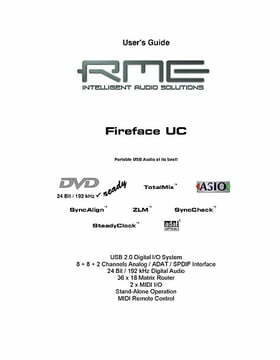 It might take a bit to get used to controls if you're upgrading from a less complex interface, but the manual book provides clear instructions. Cons: none in terms of performance and quality. 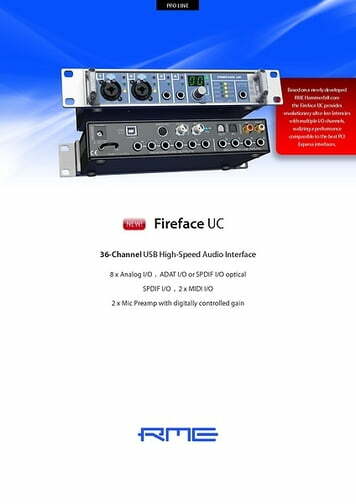 I wish they'd add a possibility of using FX with delay-free monitoring, but unfortunately, it's not supported in this model, so you can only monitor dry sound without delay. The only con I could find so far is a green light on power supply's cable, which is so strong that unintentionally functions as a night light, which can be a bit annoying. All in all, it's a great product and I'm very satisfied. Also, I would like to express my gratitude to Thomann for their great job on packaging, it came in a huge box filled with bubble packets. 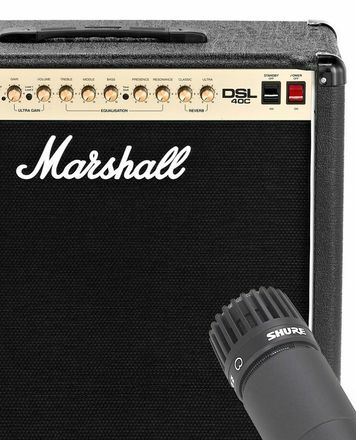 ID: 229395 © 1996–2019 Thomann GmbH Thomann loves you, because you rock!